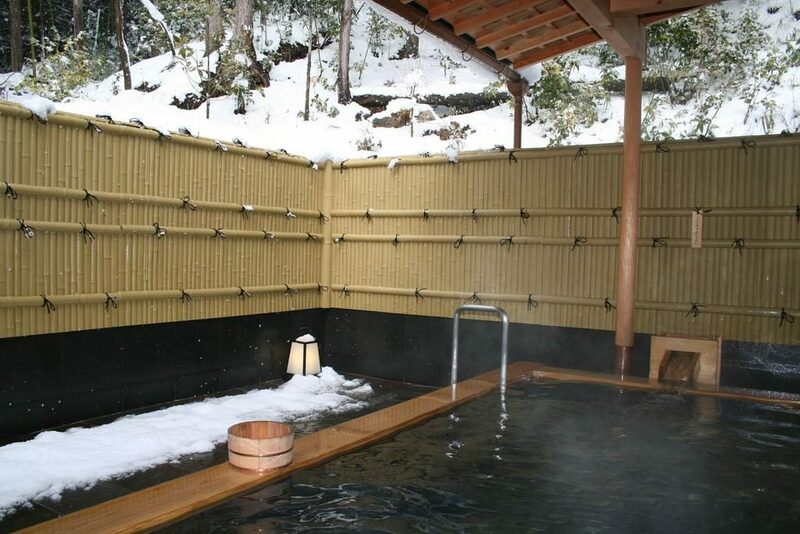 Onsen Kyoto – There’s no doubt about it: a trip to Japan (especially in the colder winter months) isn’t complete without experiencing an onsen, which is a traditional natural communal Japanese hot spring where people bathe naked (most of the time). Whilst many foreigners in the past have found the activity to be a tad challenging, the recent boom in tourism in Japan has sparked intense interest in visitors exploring all aspects of the intricate Japanese culture…even if it means pushing against their personal boundaries. If you’re reading this, you’re probably fully aware of this aspect, and are now looking for the best option onsen for your impending trip to Japan – more specifically, Kyoto, the quaint city in Kansai that’s known worldwide for its gorgeous temples, stunning shrines, and awesome landmarks, not to mention its intense concentration of ryokans and onsen. 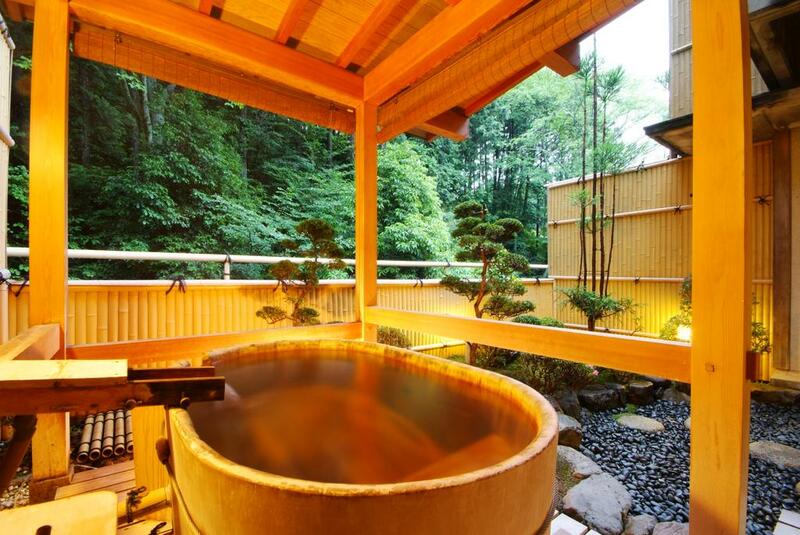 Below we’ve listed a few that stand out from the masses, so we hope you enjoy this read and let us know if you’ve personally experienced any of these stunning onsen! 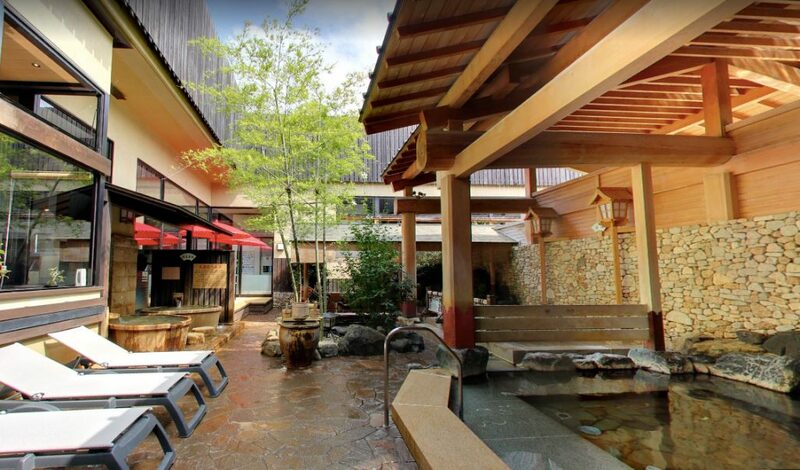 If you’re after the complete experience and want to be outside of the city centre, but don’t want to travel too far (yes, we’ve heard of these requests before and trust us, Kyoto is big enough to be able to cater for it), then Kurama Onsen, located just 30-minutes via train from Kyoto, is the perfect option for you. Surrounded by green forests and tall mountains, this place is an absolute dream. Wooden structures make up majority of its inner and outer exterior, and during winter, the snowfall outside creates an incredible image to enjoy whilst you’re relaxing in the steaming hot tub. For those who are looking to hike the Kumara-dera Mountain Temple, this is a great way to unwind. Access: From Kurama Station, it is 3 minutes by a free shuttle bus that doesn’t require a reservation or about a 10-minute walk. 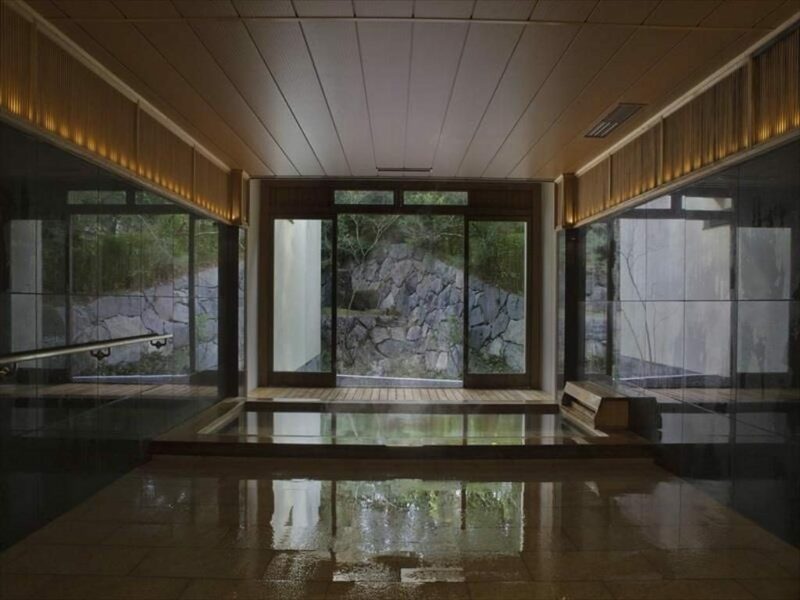 If there were any location that epitomises Kyoto’s famous onsen image, it would be the onsen at Shoenso Hozugawatei. 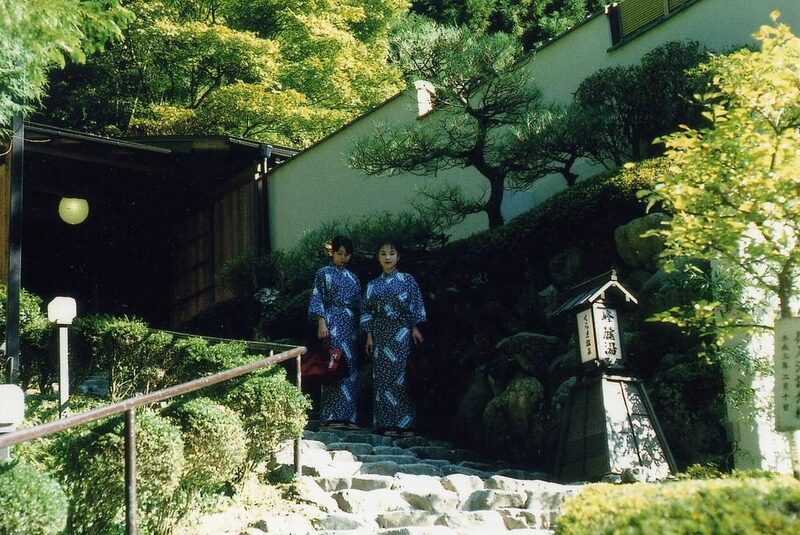 Located within a traditional ryokan, this place has really thought about everyone and everything. 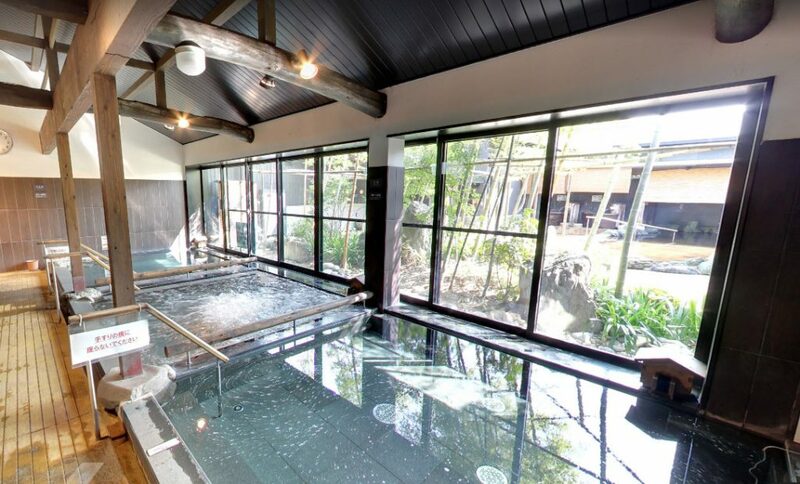 There are a myriad of different onsen options available, including the large communal bath ‘Daikoku-yu’, where you can simply switch off in a large bath, or use one of the spa-style whirlpool baths; open-air baths including either the rock bath or the cypress bath; or the private onsen rooms, where families and couples can book it if they’re not comfortable using the communal style baths. 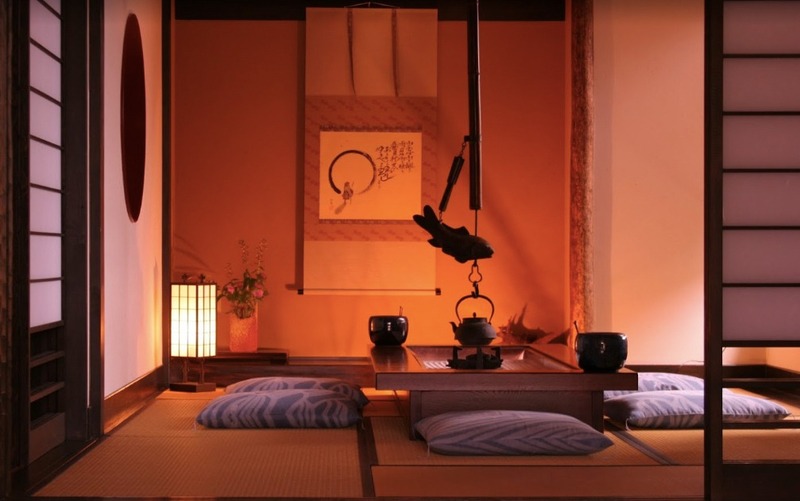 After using their onsen facilities, there is even an official after-bath resting space complete with traditional wooden furniture where you can relax and enjoy some free Noh and Kabuki drama. 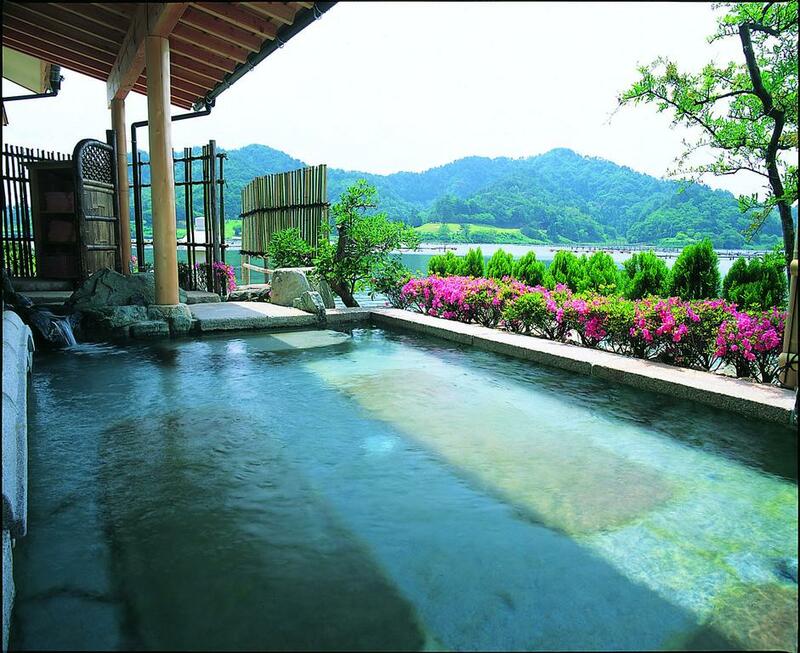 Located in Arashiyama, an increasingly popular tourist destination and area of accommodation, the Ryokan Hanaikada claims to be the only one in the area that offers 100% natural hot spring water in its onsen – which is a big claim. This traditional style Japanese inn offers an irreplaceable zen that can only be found in authentic Japanese accommodations, which is surprising given that it’s located within walking distance to quite a few popular sightseeing spots such as the Togetsukyo Bridge. The onsen available within this inn will also give neighbours a run for their money: there are indoor baths fully made with Japanese cypress, outdoor baths that open up to views of Mount Atago, and even private open-air baths for those who want to truly have some alone time (note: private open-air baths are only available to guests dining or staying at the inn). Access: Catch a train from Kyoto station to JR Saga-Arashiyama station where there will be a free pick up. Not only does Yunohana Resort Suisen offer amazing onsen facilities, but the fact that it’s located just a short distance from the Kyoto City centre really puts it on the map, especially for those who have jam-packed itineraries to explore the area and thus physically can’t be located too far away, but don’t want to compromise on the quality of the onsen experience. 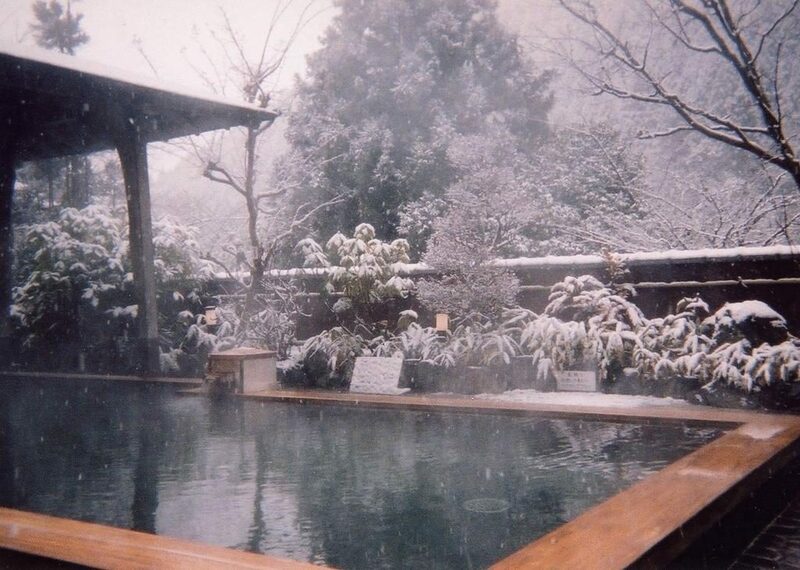 The Yunohana hot spring philosophy is to “heal your body and mind”, and if you actually get to experience their onsen, you’ll understand that they take themselves very seriously. The communal open-air baths are separated via gender and are crafted in stone. The benefits of bathing in this hot spring with a hypotonic low alkaline level include targeting nerve pain, muscle pain, joint pain, stiff joints, and even high-blood pressure. This truly is an experience for the body and mind. If you’re after the full Japanese experience, look no further than Ohara No Sato. We’re serious. 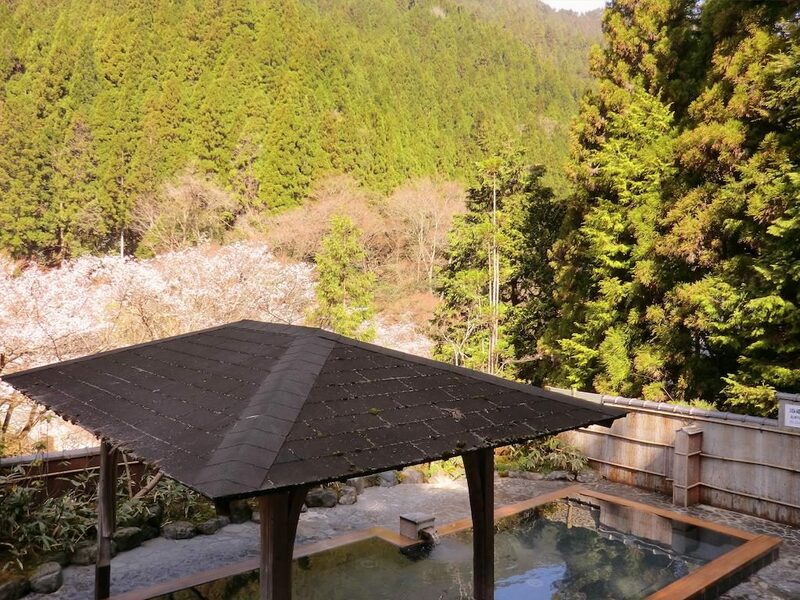 A gorgeous, unassuming bed-and-breakfast nestled deep in the mountains of northern Kyoto, guests will automatically begin to unwind even before they set foot in the accommodation – the entire area surrounding it is just so zen. The 100% naturally heated hot spring facilities include a stunning open-air bath that’s perfectly situated amongst lush greenery so there are no distractions for you – simply the trees, the sky, the water, and you and your thoughts. Dine on incredibly fresh traditional Japanese dishes made from home-grown vegetables and sleep on comfortable fluffy futon beddings and after a day or two, you’ll never want to leave. Access: From Kyoto station,take Kyoto bus #17 or #18 bound for “Ohara/大原” and get off the bus at last bus stop and walk for 13 minutes. If you’ve been researching for a while, chances are, you’ve come across Aburaya Bekkan Nagomitei before. It’s one for the ages, and there’s good reason. Located in Kyoto’s northern region, this stunning ryokan is located right next to the ocean, offering peace and tranquillity to all patrons. Given its location, you can bet that the traditional Japanese cuisine served there is full of incredibly fresh seafood – the type you can only dream on. 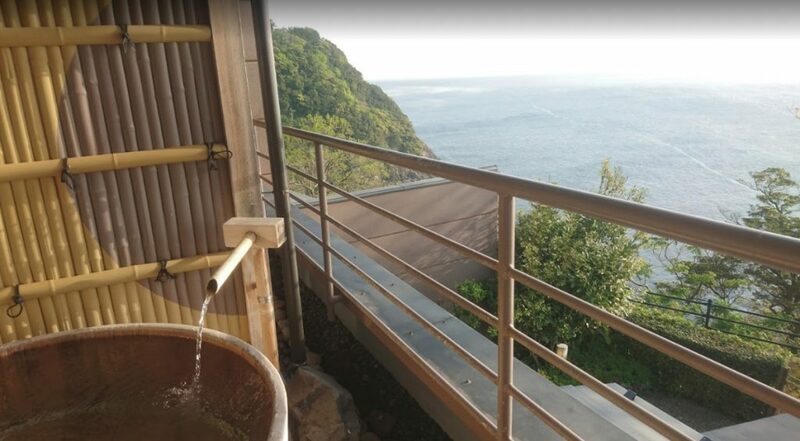 But that’s not the star of the show – if you’re staying here, be prepared to spend hours and hours simply enjoying the ‘rotenburo’ (open-air bath) that overlooks the ocean and expansive night sky. It’s quite an experience, and one you’ll be raving on about for years to come. It’s restricted to adults-only, so you can be sure that privacy and peace and quiet are on the books. Kyoto is lucky enough to cover both stunning inland landmarks and many coastal regions, and Hekisui Gyoen is a ryokan which exemplifies the latter seamlessly. Situated in front of Kumihama Bay, all aspects of this ryokan (ironically) scream peace, quiet, serenity, tranquillity, relaxation…you get the point. And to top it all off, the open-air bath offers the most superb seafront view. With only a limited number of guestrooms across the entire accommodation (14, in fact), you can bet that you’ll be able to unwind for the few days that you’re there, simply dining on super fresh seafood, relaxing in an onsen, really just making the most of your time. Access: Kyoto Tango Railway “Kumihama Station” * Free I will operate a shuttle bus. * The shuttle bus will be operated only by reservation, so please reserve in advance. 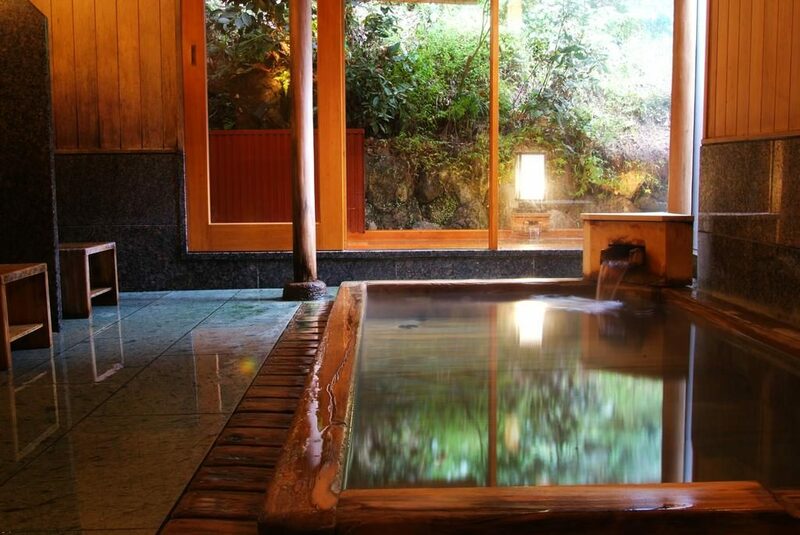 If we’re talking about a completely 100% original Japanese onsen experience, and you happen to be traveling up north of Kyoto, then make sure you pop by the Amanohashidate Onsen to show it some love. 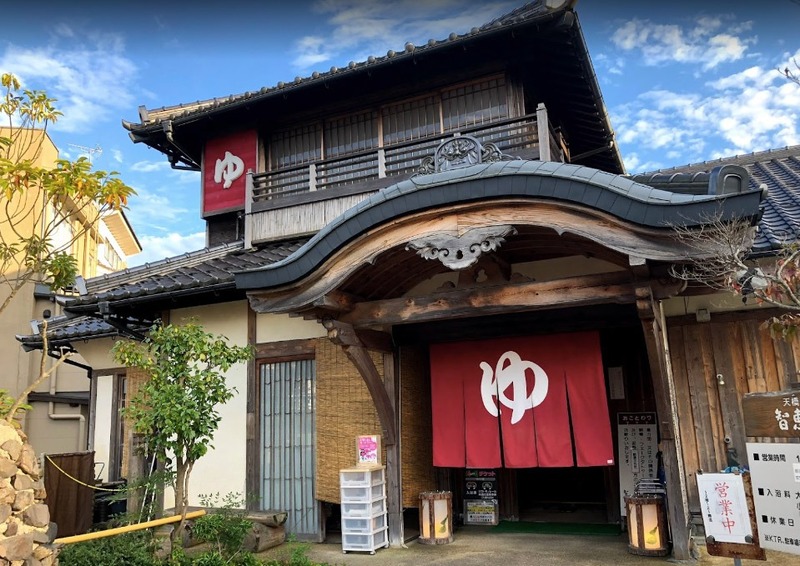 This place is not an onsen that’s part of a ryokan like many others; instead, it’s a standalone no-frills traditional spa that’s operated for generations and wants you to experience its healing natural spring waters yourself. 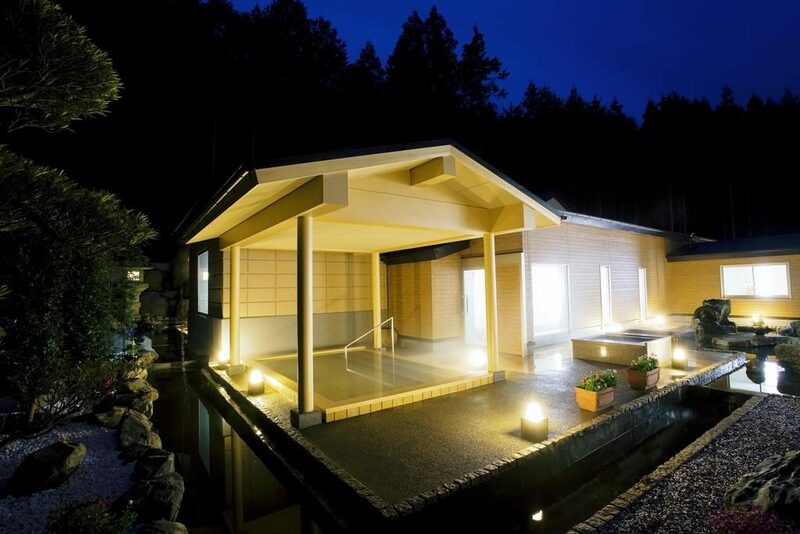 There are a few spa options that you can use, including the ‘Hashidate’ spa, ‘Chie-no-wa’ open-air bath, and the ‘ashi-yu’, which is the foot spa that sits in front of the onsen and is free for everyone to use. The water quality is so revered that it’s even been given the name “Bihada-No-Yu”, meaning beautiful skin. 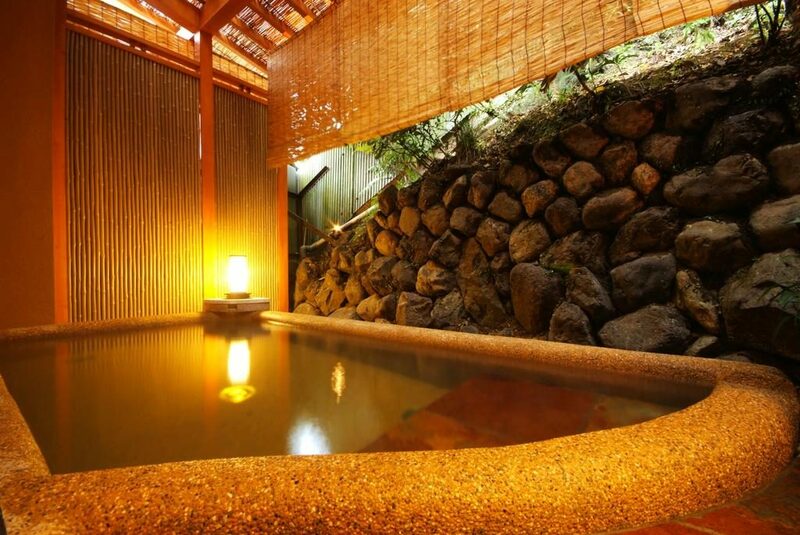 If you’re looking for just a day visit to a natural hot spring that’s still located within Kyoto, look no further than the Tenzan-no-yu onsen, located on the west side of Kyoto, just across town. Its popularity stems from the fact that it’s easily accessible, but does not compromise on quality, with its waters funnelled from a tunnel drilled 1,200m below the city. They place heavy emphasis on the components that make up their water, such as the sodium and calcium chloride spring and their carbonated spring (which is only open every Saturday and Sunday). Aside from the usual onsen experience, they even offer two different style foot baths (sodium and calcium chloride or ceramic), and, believe it or not, a fish therapy bath, where you are able to stick your feet in and have members of the Cyprinidae fish family feed on the dead skin on your feet. 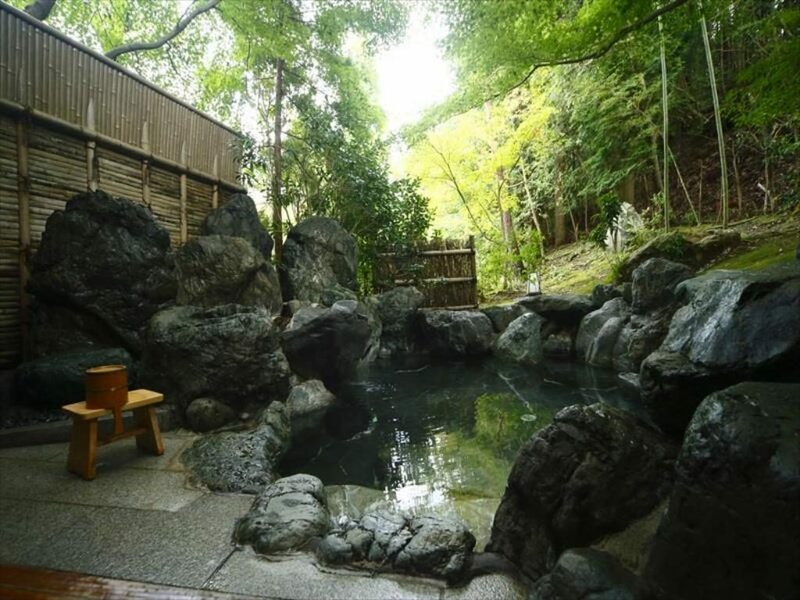 One of the few standalone onsen that operates not to far from the city, this place is just far away enough so that you definitely feel removed from the hustle bustle of the crowds. 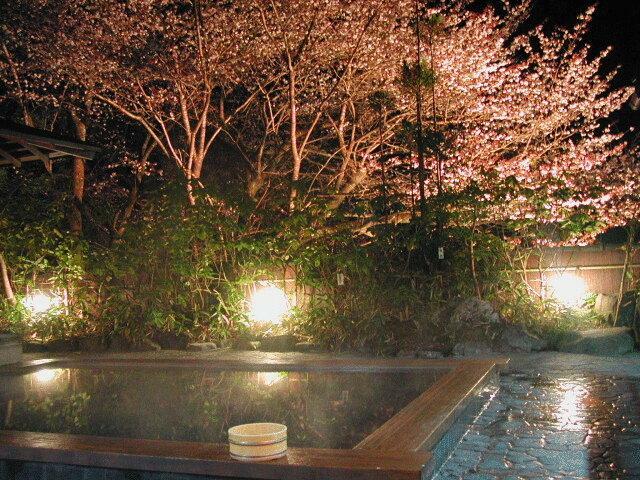 Offering various styles of hot spring baths, including rotenburo (open-air baths), tsubo yu (natural hot spring), water bath, and roryu sauna (Finnish-style bath), this is the perfect stope after a day exploring Uji (the matcha tea town!). 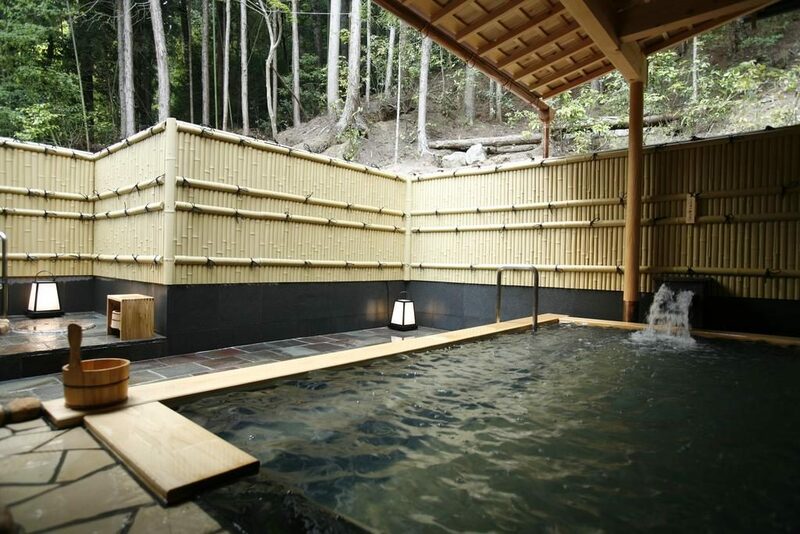 The onsen itself is fairly new and maintained extremely well. You can pop into the steam room and use all the amenities provided there. If you decide to use the rotenburo, the stunning uninterrupted view of the night sky will surely leave you breathless. Once you’re done bathing, you can relax with a massage or head to the communal tatami mat room to wind down before you head to the restaurant for some delicious Japanese and Korean cuisine. Otherwise, the amazing Kura Zushi (100yen) conveyor belt sushi train restaurant is right opposite the onsen, so work up an appetite and go dine like a king after! Access: 8 minutes’ walk to Genji no yu from Okubo station (Kintetsu line). And for more info about Kyoto, feel free to check out these articles: Kyoto Travel Blog.